Intensely deep, woody character with dulcet tones of vanilla wafer and spice. 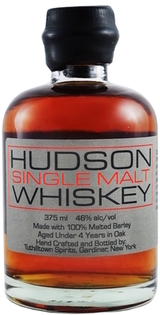 We are not recreating our venerable cousins' Irish and Scotch whiskies, but reinventing Single Malt Whiskey with an American sensibility. This whiskey wears pants. With a bold taste and a rich hue, this is a "lone wolf" spirit, meant to be enjoyed by itself.